I was so excited to check my mail this morning and find my Glossybox! At first I hated that it arrived at the end of the month rather than the beginning to middle, but I've come to really like having my subs a little more spread out. I'm also excited to see if my subs start sending out good fall and winter products. Still my favorite boxes. I have saved all of them and they are currently being used to organize my makeup and skincare items. I really love how each box looks and feels like a present with a cute little ribbon and a card. I see that this month's theme is "Fall Forward", and it's all about breakthrough products and forward thinking essentials. Fun! Okay, seriously? Look at these sample sizes. 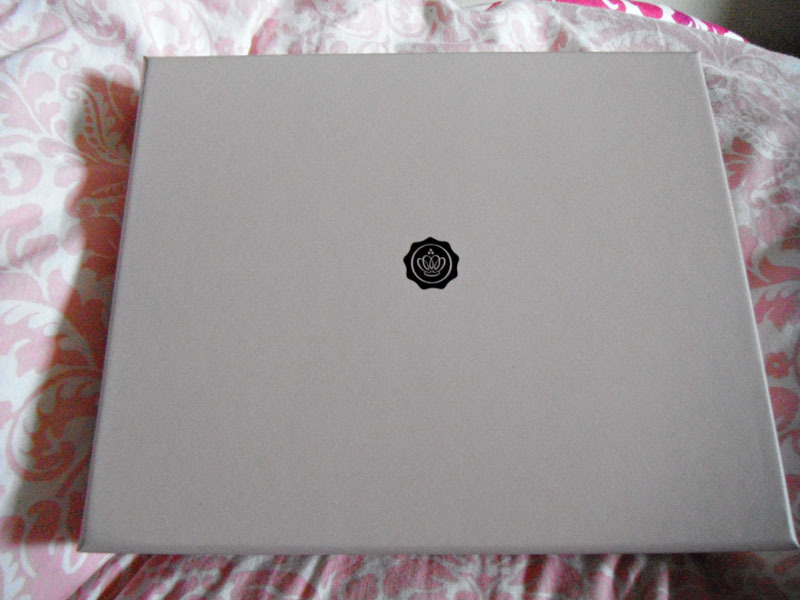 This is why I love Glossybox. After several months of foil packets with another sub, it was really exciting to open my box to see this! 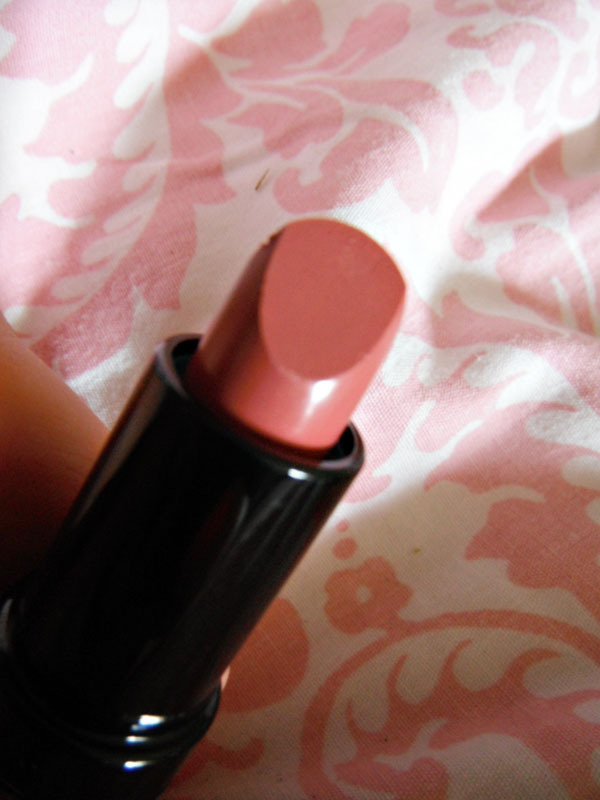 This is a Glossybox lipstick made by Kryolan. It contains vitamin E and promises to be very moisturizing. The shade we got is "Glossy pink". I'm not a lipstick person, at all. I generally stick to balms and glosses. But this color is really nice, and I've been wanting a change, so I'm going to try it out! 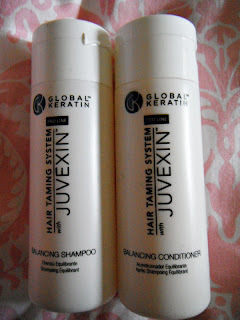 This is moisturizing shampoo and conditioner by GKHair. 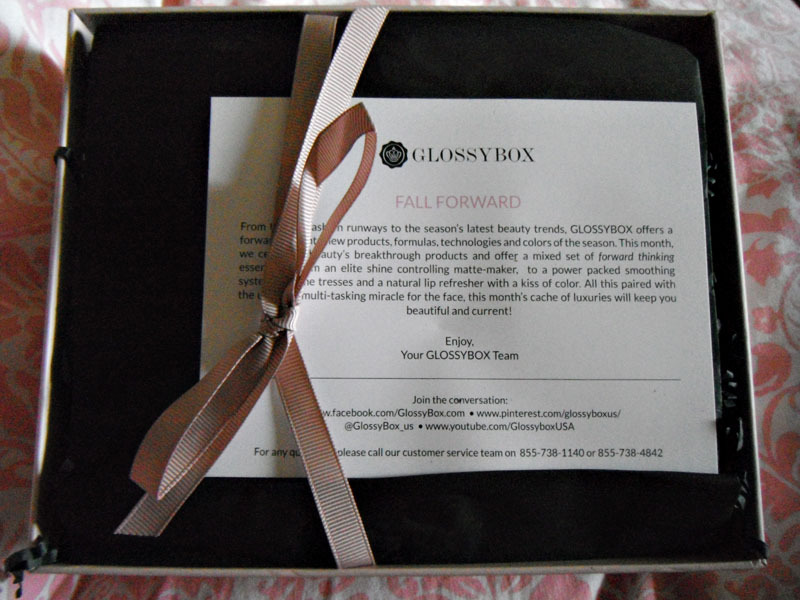 I love that Glossybox sends shampoo and conditioner together, so you can truly see how they work together. The sample sizes are great. These contain keratin and promise to moisturize and revitalize. Excited to try them. 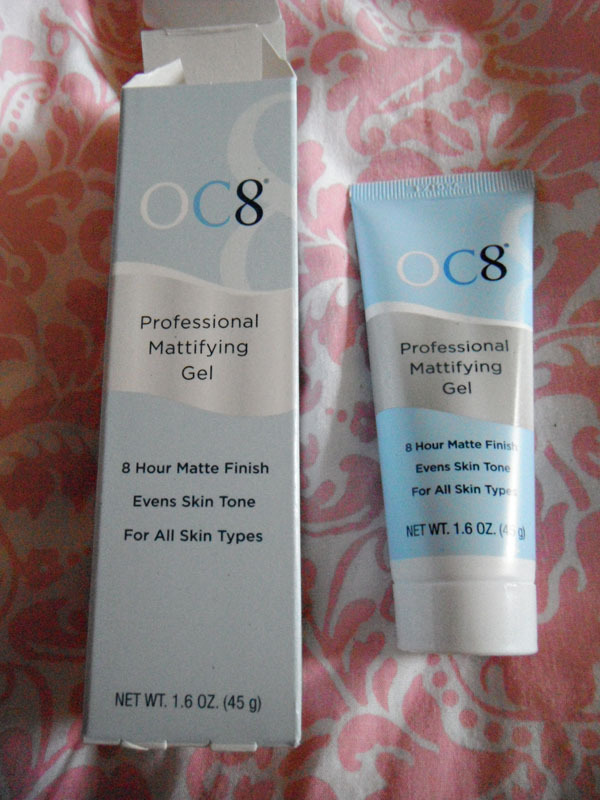 This is Professional Mattifying Gel by OC8. It is meant to help control shine and oil throughout the day. My skin isn't super oily, but I do have some shine issues on my t-zone sometimes, and it's more noticeable when I wear certain face products and foundations, so I'm definitely excited to see what this does for me. It's a full sized tube! And finally, the star of the box - Perfect Cover BB Cream by Missha. I love BB creams and I much prefer them to foundations or other face makeup. 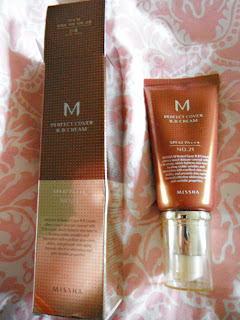 I haven't yet tried Missha so I was really excited to get this! Plus, it has SPF 42, which is a great bonus. My one concern was that I got the shade 21, and I think 13 would have been a better fit. That said, though it might be a shade darker than ideal, it's still definitely close enough to my skin tone to be wearable, and I am really excited to try it out. This is also a full sized tube! 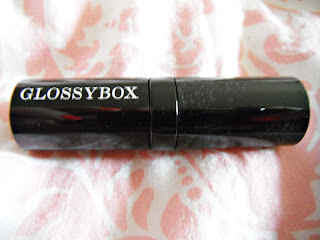 In all, this is my favorite Glossybox to date! Two full sized makeup products, a full sized skincare product, and deluxe shampoo and conditioner samples make for a happy box. And the sizes are insane! I couldn't find sample sizes on the shampoo and conditioner, but the other 3 full sized products have a value of $73.99 alone. That's insane! I can't wait to try everything out and I'm already excited to see what October brings. What did you think of Glossybox this month? Love this box. I missed out on it for some reason. They still haven't charged me despite sending me an order confirmation....Maybe I should give them a call? I've been considering going back to Glossybox even though we had a bad breakup ;) They have really made the boxes much more tempting! I had subscribed for the first box, and due to the problems everyone was having, I unsubscribed as soon as my tracking info updated....but then I resubbed before the next box, lol. Currently, I'm glad that I did, as I honestly think every box I've gotten has been worth it. This one is by far my favorite...I'm just hoping I keep having good luck with it!